Blog abstract: Serious performing art presentations are often not-at-all-commercial, complex, and diverse. Because of this, cultivating relevant ‘triggers’ (i.e., things around you that remind you of ideas) that are coherent and commercially viable have been difficult. Kontomo can help cultivate triggers in much less haphazard ways. As a point of reference for discussion, we explore the idea of ‘triggers’ as expounded in Jonah Berger’s book, Contagious: Why Things Catch On. The above is a quote from Jonah Berger’s book, Contagious: Why Things Catch On, and the observation relates to whether people talk about a product or experience for more than a few days after initial contact. For example, after an impressive or unusual concert, you might talk about it or remember it well for a day or two afterwards. However, whether you would continue to bring it up in conversation for more than few days after that, is another matter. Triggers themselves can be anything. It could be, for example, the scent of a perfume – maybe it would remind you of a specific person? Or how about the sound of a wind chime – could it remind you of a memorable place or time? And certain foods and flavors can remind you of your childhood or family because,. . .it’s probably the taste you remember from when you were young. But it seems in our screen and advertisement-dominated society, that the majority of triggers are found in the visual sphere. Triggers are important in studying ‘virality’, since having an idea be ‘top-of-mind’ is critical to whether you share it with others. It is also essential to your decision-making process. When deciding what to have for lunch, if you don’t recall tacos, it is unlikely you would decide to have one, even if a great tacqueria around the corner is just one block away. Thus, absent a trigger that frequently appears in our immediate environment, the way marketers try to get people to even just recall things, is constant reminding in the form of advertising. Let’s look at the scheme of things with ’triggers’ from the other side (i.e., marketer). Here, the focus is identifying what relevant triggers there are for the product or experience (e.g. a concert). It becomes sort of like playing charades. What environmental cues are likely to elicit a reminder with your target audience? Before we consider the situation with performing arts concerts, let’s briefly take, for example, merchandising. If I may poison your mind for a moment, these Star Wars lightsaber chopsticks are goofy (or cool, depending on your point of view), but most of all, effective in ‘infecting’ your mind. You might agree with me that the idea behind these chopsticks is not unique – probably every Star Wars fan (including yours truly) has imagined using some stick-like object as a lightsaber, including chopsticks. But once you actually see these lightsaber chopsticks (which are not that high-performance in terms of utility as ‘chopsticks’ according to some Amazon reviews – though of course that’s not the point), you may be reminded of the Star Wars franchise even when using ‘normal’ chopsticks. To what degree you will have “chopsticks = Star Wars” implanted in your mind probably depends on whether you’re even a fan of Star Wars in the first place. From this, we realize that some level of intrinsic interest and understanding has to exist for a trigger to make an idea ‘top of mind’. Triggers for the performing arts? Now, let’s think of performing arts concerts. What triggers can we count on in the real life environment of an eventgoer? And what amount of the eventgoer’s understanding can be leveraged by the trigger? What if you saw someone carrying a cello case in the subway? Perhaps you’ll recall ‘music’ on a general level, and perhaps ‘classical,’ but it’s unlikely to be more specific unless you recently experienced a fantastic cello concert. If you know New York City well, what about “57th Street”? Is that enough for you to think of Carnegie Hall? Moreover, is it enough for you to contemplate finding out what concerts are going on at Carnegie and buy a ticket? What about “34th Street”? I would wager that a lot of people would be reminded of the famous movie Miracle on 34th Street (or at least the title), Macy’s, and Christmas. And that movie, meanwhile, despite its feel-good message, reminds us of gift-giving and the need to shop for those gifts. Meanwhile, what about purple lighting? Would it remind you of something like, a pop concert? And if you had a great time at the last pop concert, might a purple light entice you to look up the concert schedule of your favorite pop star? I pose these questions quasi-rhetorically, and the answers I suggest are off the top of my head. The point is, triggers don’t necessarily lead to action, especially if there is no perceived immediate need for what pops into our head. However, because triggers are everywhere, not having a reliable channel to cultivate meaningful triggers in the first place, is a severe marketing disadvantage in today’s world. Popular art, through music videos, branding, creative album art, cohesive fashion culture, and commercial brand tie-ups, figured out channels to cultivate a variety of triggers. Serious performing arts – partly by nature of its complex, diverse, and often not-at-all-commercial message – have long had difficulty in creating coherent and commercially viable channels for cultivating triggers. Kontomo allows eventgoers to revisit their digital playbills at will and as frequently as they like, wherever they like. It cultivates triggers through the phone and the app. Moreover, flexible eventgoer feedback provides presenters and artists an understanding of what matters to (and what is being understood by) their eventgoers. And by leveraging the ability to follow-up with the eventgoer, presenters and artists can cultivate unique triggers that produce meaningful on-going relationships in eventgoers’ real lives. Triggers, really, would be a by-product of this kind of interaction between presenter, artist, and eventgoer. Conversation with the presenter and artist can help keep the concert relevant and authentic. Activities tied into the experience (and not necessarily through forced participation) can create subtle triggers allowing the experience to resurface back to ‘top of mind’ more often. By opening up the channel between the eventgoer and presenter, Kontomo proposes a way to cultivate triggers for performing arts presentations that have not existed before. We hope to show you soon with Kontomo used at a concert or event near you. Blog abstract: Performing art, by nature, is out-of-the-ordinary. However, the remarkableness of an art or culture sometimes needs to be emphasized so that the eventgoer is both ‘prepped’ to experience something remarkable, and has the means afterward to share ‘what is remarkable’ with some fidelity and context. Kontomo can help make this happen. As a point of reference for discussion, we explore the idea of ‘social currency’ as expounded in Jonah Berger’s book, Contagious: Why Things Catch On. The other day, I went to a concert given by the Silkroad Ensemble where they presented a work-in-progress for one of five pieces comprising their new “Heroes Take Their Stands” project. And it happened to take place at my alma mater, Juilliard, for an invitation-only audience of faculty, staff, and supporters. The presented segment was music combined with solo dance and the polish and quality was extraordinary (even though it was supposed to be a ‘work-in-progress’). The East-meets-West music combining Western and Eastern instruments was entrancing, the Indian dancing was riveting, and it was just magnetic as a show. There was discussion with the artists and creators afterward that gave insight into the inspiration and work behind “Heroes.” And, as an encore, there was a repeat of the final portion of the music and dance, giving the audience a chance to re-experience some of the performance in the context of the discussion. “Heroes Take Their Stands” is a show I’m now looking forward to seeing when it is complete. It’s also something I’m likely to bring up in conversation to a friend or colleague who might be interested in going to something like this. The Silkroad concert definitely has “Social Currency,” as defined in Jonah Berger’s best-selling book about why things ‘go viral’ – Contagious: Why Things Catch On. In this perspective, I believe the Silkroad concert and its method of presentation really hit the right marks. They presented the art to a select audience that would be knowledgeable and likely to support it. The physical and psychological distance between artist and eventgoer was close, which made it all the more an ‘insider’ event. And the discussion, targeted to this audience of people with in-the-know familiarity of classical music and contemporary dance, was entertainingly informative. As evidence of its social currency, here I am, electing to rave about this Silkroad “Heroes” project and concert, and to tell you about it. And I’m happy to do it because I was excited about its remarkableness, and I believe it also makes me look good as someone who was privy to the experience. The question is: Would it be possible to further empower the social currency of a remarkable concert or event? So, talking about Silkroad makes me ‘look good.’ Check. I was invited to discover its ‘inner remarkability.’ Check. It made me ‘feel like an insider.’ Check. However, game mechanics? Game mechanics at its core usually hinges on enabling participants to earn a sense of pride tied to a visible status of privilege or success. Taking photographs and using recording equipment are not permitted. This makes sense, just out of respect to the artists and presenters who put their lives into preparing and then risk doing something ‘live’ on stage. And, personally, I think that any amount of time fiddling with a phone camera not only disturbs others but sabotages yourself from experiencing what might possibly be a mind-blowing artistic moment that cannot be felt other than in that very moment. This means that for serious concerts to maximize social currency, there needs to be another medium, along with a channel to make interacting with content in that medium, a positive thing for the individual. Since interacting directly with a concert is not possible (at least not in the way one can interact with a product or service), one solution is to create a proxy for that concert experience that is portable, immutable, and personal. Kontomo is precisely the tool to create that proxy – an interactive digital playbill. A digital playbill would enable the presenter and artist to provide information-with-context. It can be interactive to help ‘prep’ the eventgoer be receptive to what is special about the event. It would allow the eventgoer to show the playbill – and thus, accurate and detailed information – on-demand to anyone they happen to talk to in real life. It would enable the eventgoer to revisit an official souvenir of the event. A digital playbill could serve as a symbol of social proof – that an eventgoer actually went to the event. And when that happens, meaningful personalization becomes possible. Then, game mechanics become possible – both within and outside of Kontomo. 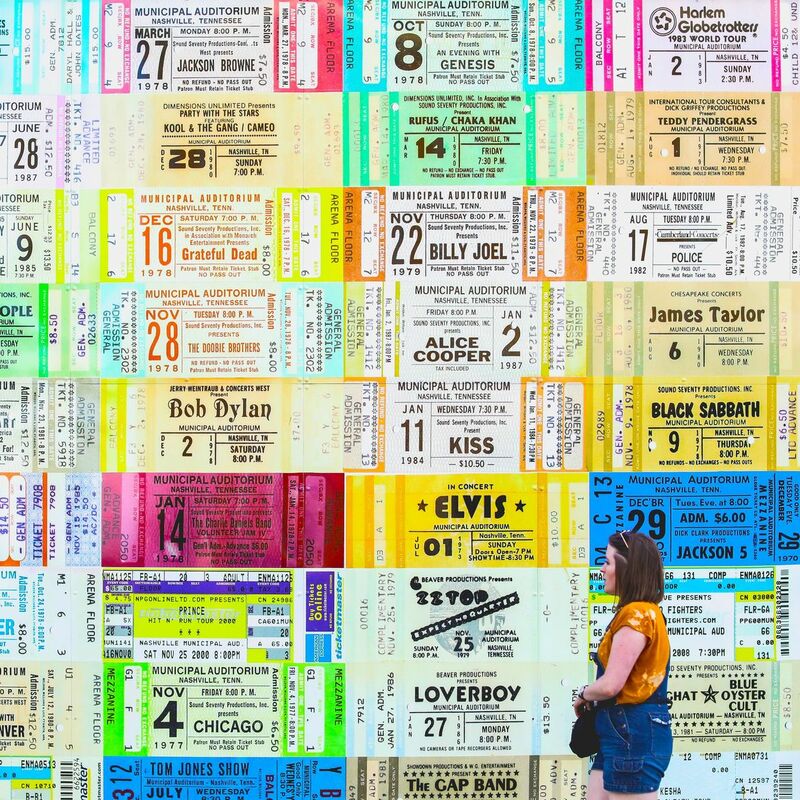 What if you could easily share a concert playbill, with official proof of attendance, and have easy and visible ways to show your level of positive involvement with the concert? As an eventgoer, would you like this? As an artist, would you like this? As a presenter, would you like this? What do you think of when you hear the words “audience development”? In the performing arts, the term “audience development” usually refers to any activity that is intended to capture or grow an audience. It is often associated with an array of activities, ranging from traditional marketing to outreach activities, education, and social events; the aim being, to engage existing eventgoers, and to appeal to potential new eventgoers. The various approaches to audience development usually belong to two categories. Promoting an artistic/cultural message by increasing the depth and frequency of contact with a potential audience. Outreach, education, and social events are examples of this. Focusing on business objectives to make an event or concert sustainable. This business-oriented approach uses both time-tested and innovative marketing and campaigning techniques to bring in and retain an audience. Word of mouth, posters, direct mail, emails, and social media marketing are examples. Social events may also fall into this category, especially if there is a fundraising element. There are a myriad examples for either approach. And an artistic enterprise with cultural influence will probably need to have a blend of both. To frame a concise and manageable discussion for this blog article, I’d like to highlight two relatively recent articles. Both articles are well worth reading in full as they also present data from documented sources. The New York Times article reports on the classical music outreach and education initiative led by the French superstar countertenor Philippe Jaroussky. 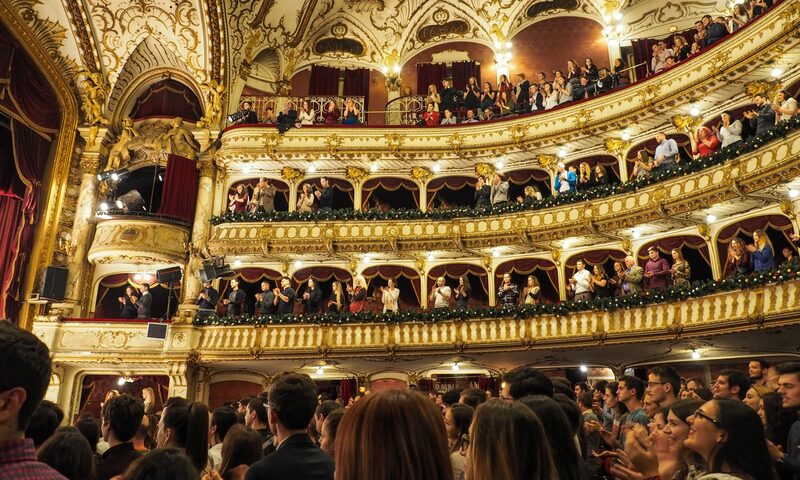 Citing data that, “Half of those who attend classical music concerts in France are executives or managers, and their average age is 54, according to a 2015 study commissioned by the French Association of Orchestras,” it outlines the hopes that the Académie Musicale Philippe Jaroussky will succeed in its mission to ‘democratize access to classical music’ by extending classical music education to working class and immigrant youths. Both articles promote approaches to audience development that are meaningful, important, and effective. Outreach and education develops that person to person connection that is essential to building any cultural understanding. Meanwhile, modern CRM, with its array of database management, ticketing, eventgoer-facing communications, and advertising tools, helps reach out to audiences, and is more efficient than ever. These CRM tools, however, may collect private information of the concertgoer (i.e., you) and communicate with a feverish frequency and intensity that some may find to be creepy, or ironically, off-putting. How do you identify cultural aspects that are truly meaningful to a particular social group? And how can empathy paired with such knowledge help resonate a specific message beyond a classroom or lecture? How can supporters of a certain artist create a community that is ‘deep and complex’ but still approachable to outsiders who are just curious? How can art strive to be intrepid while acknowledging what’s ‘comfortable’ for a particular audience? As a presenter or artist, how do you stay attuned to what is truly meaningful to your target audience, but also challenge their boundaries? As an artist, how do you gauge what kinds of artistic risks can be conducive to building a vibrant culture, for your community? And to return to the issue of ‘hit events,’ what information helps you decide, plan, and prepare a genuinely meaningful ‘hit’ for your target audience (i.e., an event that could stand on its own artistic merits without added incentives, like free food, etc.)? The common approaches to audience development drive in one direction: from presenters and artists toward the eventgoer. One hypothesis for why this is, is that our tools and methods have developed through commercial necessity. After all, regardless of profit or non-profit, disseminating information and drawing an audience by whatever means necessary, is usually a critical step. But what about audience development focused on the ‘other direction’? Do we really have an effective means for the presenter and artist to listen to the honest opinions of the eventgoer? Could such information help toward answering the types of questions listed above? Surveys and social media may seem like the solution, but we find that surveys are invasive and often invite only the extreme opinions. Social media meanwhile is a curated veneer, with untruths and exaggerations in every corner. Also, engaging through social media can be overwhelming for many artists, as it becomes unwieldy to deal with strangers who seek an ongoing conversation. It’s subsequently a huge drain on the emotional and psychological energy that could be going into producing more, and more profound, art. It is therefore time to close the gap between the presenter, artist, and eventgoer. We need a channel to listen to the eventgoer. We need a real-time connection beyond the stage between the presenter and eventgoer so that cultural contexts can be more accurately communicated. We need to allow artists to listen to their fans, but also be free to concentrate and invest their souls in what they are dedicating their lives to – creating art. There’s a way to do this with the technology we have today. Do you believe that such audience development is possible?